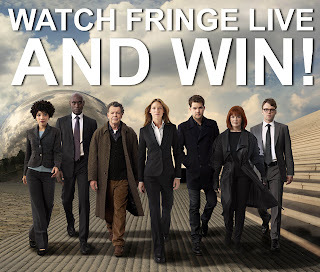 Tonight is the third week of our "Watch Fringe Live and Win!" contest, which rewards fans who watch Fringe live! Last weeks lucky winner was Drk Nexus, who will be receiving a copy of "Fringe: The Complete Third Season" on DVD, compliments of Warner Bros. Worldwide Television Marketing Group on behalf of Fox.com/Fringe. This week's prize is another "Fringe: The Complete Third Season" on DVD!